Following on from the successful change in direction introduced in last year’s Assassin’s Creed Origins, Assassin's Creed Odyssey is a continuation and expansion of that journey. Far from simply copying the template from Origins and introducing a new time period and location, however, Ubisoft Quebec has built on those solid foundations and refined areas that needed it, whilst also doubling down on the series’ switch to an RPG with the inclusion of a branching storyline and narrative choices. Odyssey is a brave and ambitious game that very rarely misses the mark. Set in 431 BCE in Ancient Greece during the Peloponnesian War between the Delian League led by Athens and the Peloponnesian League led by Sparta, Odyssey’s island-hopping story sees you playing as the descendant of the legendary Spartan King Leonidas (the “This is Sparta!” guy). 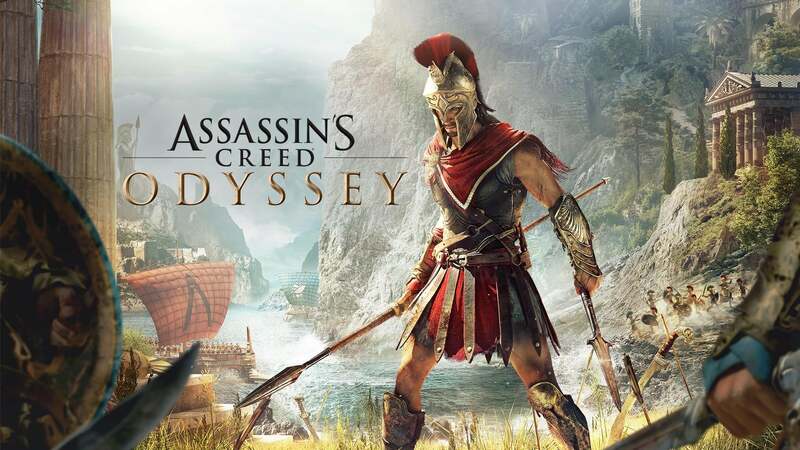 Who you play as in Odyssey marks a first for the Assassin’s Creed franchise, as you now have the choice of playing the game exclusively as a male or female character in the shape of siblings Alexios and Kassandra. For the record, I chose Kassandra and will refer to our protagonist as such throughout the rest of the review. 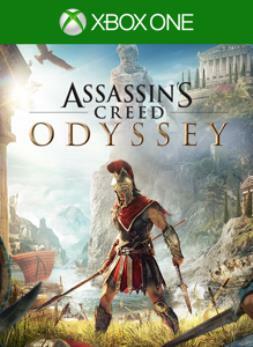 Taking place 400 years before Origins introduced the idea of the Assassin Brotherhood and the Templars last year, Odyssey offers a much deeper narrative experience than we’ve seen from the series so far, with three separate story arcs that will often intersect with each other throughout the game’s substantial runtime. Like Bayek’s revenge mission 12 months ago, Kassandra is also fuelled by personal motivation. Separated from her family as a child, she’s a highly skilled mercenary on a quest for answers as she makes her long journey home to Sparta. Her search soon uncovers the existence of a mysterious cult, and whilst your path will cross with some of its members during the game’s nine long chapters, you’ll still have the option to search for the identity of its leader long after Kassandra has found the answers she was looking for. Finally, and the only way the game really links into the Assassin’s Creed series, is the continuation of the present-day storyline where Layla, who was introduced last year, continues her search for First Civilization artifacts. At the heart of Odyssey’s excellent story is the new addition of player choice, and for the first time in the series, players can now control how they respond and act in different situations. Through the new conversation system, players can steer the dialogue in cutscenes how they wish from a selection of different choices. These different options can vary hugely — from simply digging into the backstory of characters you meet, discovering their intentions, and asking for directions, all the way through to shaping story-defining moments that will lead to one of the game’s several different endings and permanently alter the world around you. An example of this comes early in the game when you come across a family who are sick from a plague that has destroyed their village. A group of soldiers are eager to prevent the illness from spreading by killing the family, and so you must decide between letting them be executed or saving the family. I chose the second option with little thought at the time and later learned that the plague had spread across the whole island of Kefalonia and caused widespread death and devastation. At times, there aren’t any obvious right or wrong options at hand, but the ability to make Kassandra who I wanted her to be and see the results of my actions play out in the world felt like is a definite step in the right direction and a welcome addition to the series. Whilst the majority of the new conversation elements are a huge success, the new romance options often seem forced and unnecessary. Regardless of which character you choose to play as you’ll occasionally meet NPCs of both sexes whom you can attempt to seduce. When the option is available, it often feels like it has been crowbarred in to fit a romance quota the developers set for themselves. You don’t see any loving relationships form or any lust between characters, instead, you’ll have to give a response full of innuendo whilst your potential lover is asking you to save their life or even more oddly, quickly gather items to save their dying father. These sections are really the one glaring blemish on an otherwise memorable narrative. To accompany that twisting narrative and ensemble of interesting characters in Odyssey, Ubisoft has once again delivered a stunning location that you can move around in freely without any loading times. Set on the many Greek islands and surrounded by the swirling waters of the Aegean Sea, the world is as immense as it is beautiful to explore. Filled with tiny details and varied architecture and landscapes, it’s easy to become completely immersed as you watch its inhabitants go about their daily lives and the animals interact with their surroundings. On the Xbox One X, it ran smoothly and looked especially stunning with HDR enabled. The standard Xbox One didn't perform quite as well, with some occasional dips in frame rate, long loading times, ugly textures and a short draw distance that could occasionally shatter immersion. There’s also a completely new way to play Odyssey than previous games in the series, which really hammers home Ubisoft's desire to turn the series into a full blown RPG. Players are now given the choice to play in the exploration or the guided mode. In exploration mode, the locations and objective markers of new quests won’t be displayed on the map, instead, you’ll have to ask NPCs for last known locations, directions and descriptions to help you find your target. Guided mode, on the other hand, plays like previous games, where you’ll be shown where to go on the map before using your eagle Icarus to home in on specific targets. To help fill the vast world, there’s an equally enormous range of missions, side quests and activities to take up your time, and like Origins, even the simplest of tasks are a joy to take part in as you meet new colourful characters that are often well written rather than taking part in the boringly repetitive busy work that often plagued earlier entries in the series. Even after 50 hours with the game, I’ve still got a seemingly endless number of side quests at hand, daily contracts and bounties to pick up from the mercenary boards, and a cult to take down. 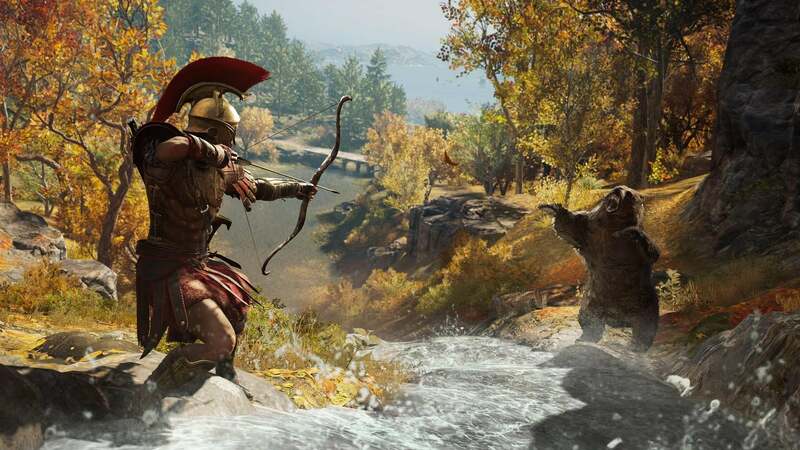 One of the new features in Odyssey that again links in with the world reacting to how you play the game combines the notoriety elements found in early games from the series with the deadly Phylakes from Origins that would frequently hunt you down. This time, there’s a whole host of mercenaries who will often be seen making their way around the world. If you cause too much trouble, a citizen will place a bounty on your head and one of the mercs will be dispatched to take you down, even when you’re at sea. You can resolve these bounties in a number of ways, such as choosing to hunt down the citizen that is paying the bounty, paying off the bounty yourself, running as fast as you can, or facing up to the challenge. Facing the challenge is often the most rewarding as you’ll gain some additional loot if you win, but there's also the issue that you may well end up increasing your notoriety and having to deal with more mercs that are sent your way. The mercenaries clearly draw heavily from Middle-earth’s Nemesis system, where new mercs will take the place of those you’ve dealt with. Being a mercenary yourself, you’ll also gradually climb the leaderboard of mercs as you attempt to become top dog. It took a surprisingly long time before anyone tried to replicate the Nemesis system, but it fits here and the game is better for it. There are also mass battles to take part in to dictate which of the warring factions in the Peloponnesian War will sit as the rulers of each island. These take place in spectacular large battles with around 100 different characters fighting at once. Being a mercenary who holds little love for Sparta from her childhood, Kassandra is free to choose which side she wants to lend her sword to. Unfortunately, whilst a good idea, the result of who wins and loses offers nothing to the game outside of some new loot and money if you manage to come out on top. 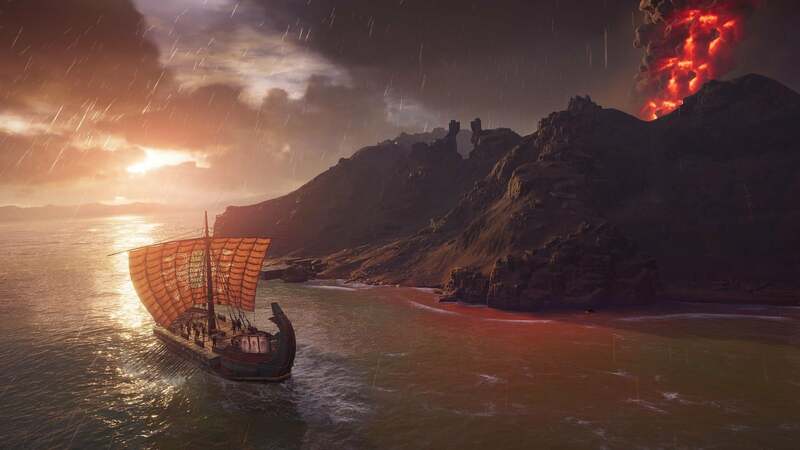 They are certainly great in scale but considering some of your minor choices in quests can make such noticeable differences to the world and story, changing the ruler offers nothing and seems at odds with some of the improvements found in Odyssey. 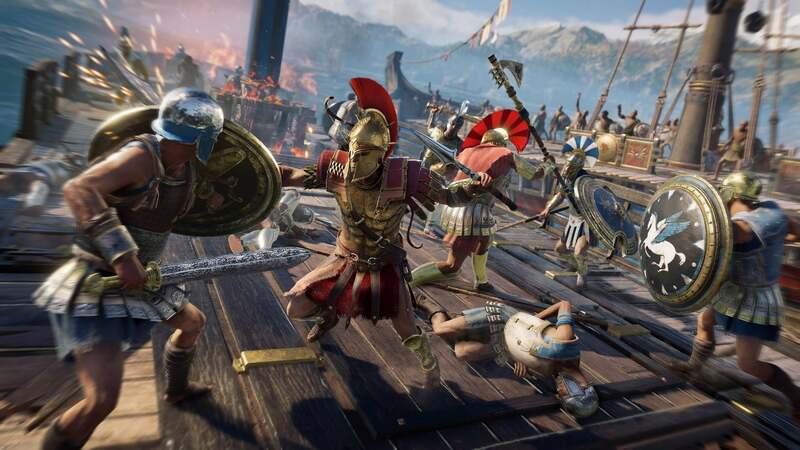 The combat on offer in Odyssey is built upon the foundations laid with Origins, although there are some changes that make the combat feel tighter and more nuanced than that seen in last year's game. Using the same free-flowing dance of light and heavy attacks, Odyssey removes the ability to block enemy strikes with the comfort blanket of a shield. Instead, you’ll need to use a little more finesse as you attempt to parry and dodge enemy strikes. There are also new special abilities that are unlocked with experience points as you level up throughout the game. Unlike Origins, however, where new abilities were constantly available, many of the abilities in Odyssey need to be assigned to the face buttons and require adrenaline earned through landing your own attacks to use them. Each special ability feels worthy, making it hard to choose which of them to use as you can only have four melee and four hunter (bow and arrow) skills assigned at once. The loot system has also been built upon further with new engravings available to add buffs and abilities to each of the weapons and armour pieces that you carry. New engravings unlock as you progress through the game, but they don’t come cheap, so there’s a conflict of adding an expensive engraving for an instant boost now but with the certainty that you will have access to higher DPS weapons as you level up. There’s also the return of naval combat, which largely operates the same way it did in previous Assassin’s Creed games with an expanse of water readily at hand. It’s the same basic combination of firing arrows, throwing javelins and ramming enemy ships, although this time around there a lot more options for upgrading your ship, the Adrestia, to buff damage and strength, as well as assigning NPCs you meet in the game to become lieutenants, each offering their own unique buffs. Whilst the combat feels good, there is always the option to ignore it completely by sailing away, and without the forts from Black Flag that need to be attacked from the sea, it doesn’t feel as essential outside of travel. Ubisoft seems to understand that a certain number of people expect and enjoy naval combat in every sequel, so it keeps finding its way back for those fans. 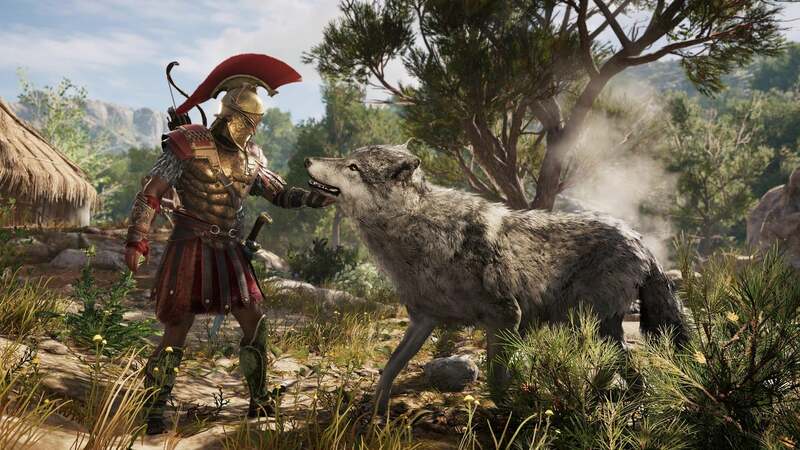 The achievement list in Assassin’s Creed Odyssey will be familiar for anyone who has played the previous games in the series. There's nothing especially difficult to get in the way of a completion with the majority of them coming naturally via story completion and exploration. It will, however, take some time commitment to take down the entirety of the Cult of Kosmos and reach level 50. 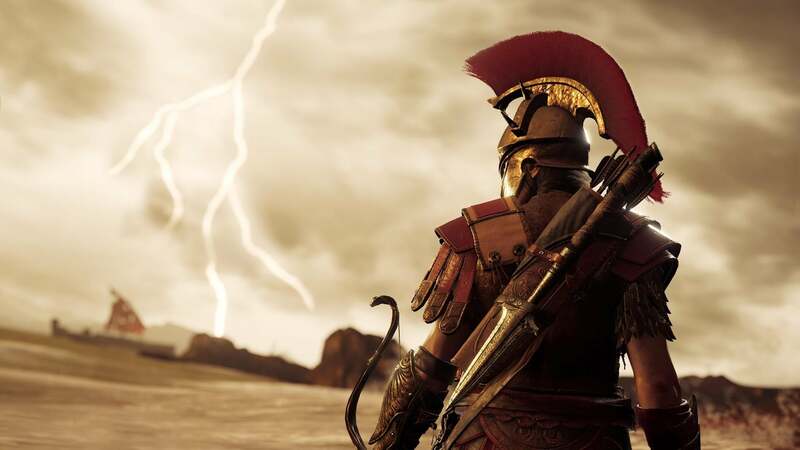 The reviewer spent approximately 50 hours exploring Ancient Greece and completing the game's main family storyline while he unlocked 32 of the game's 50 achievements. A copy of the game was supplied by the publisher for this review.